A Seoul court sentenced an opposition party lawmaker to seven years in prison Thursday for accepting more than 1 million dollars in illegal political funds and bribes. Rep. Lee Woo-hyun of the Liberty Korea Party was indicted in January on charges of taking about 1.18 billion won ($1 million) from provincial politicians and businessmen, including a former speaker of the city council in Namyangju, who sought Lee's influence for his bid to run for mayor in the 2014 local elections. 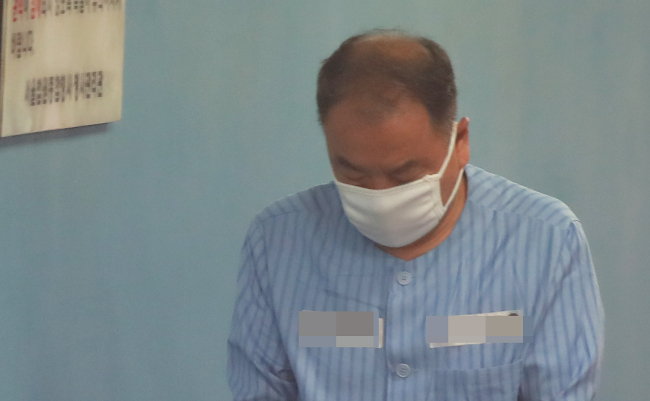 Lee was also charged with receiving about 120 million won in bribes betweeen March 2015 and April 2016 from a businessman seeking to win contracts from the Korea Rail Network Authority and Incheon International Airport Corporation. The Seoul Central District Court sentenced the two-term lawmaker to seven years in prison and 160 million won in fines, and ordered him to forfeit 680 million won, saying Lee abused his power to receive bribes and exercised undue influence. In some cases, the court said, Lee even proactively demanded money first.